I was watching a program about Irish rock music on BBC 4 the other night. The problem with these compilation shows is that in order to get to the Pogues you have to sit through the Boomtown Rats. Sure enough up popped Bob Geldof retelling the story of how he stuck it to the Man by tearing up a photo of John Travolta and Olivia Newton-John on Top of the Pops. And this got me thinking about natural wine. I’d been looking for a good explanation for the anger that the natural wine debate creates because surely it can’t be about sulphur levels? Watching Bob, I noticed the striking similarities between natural wine and punk rock. Punk was a reaction against bloated prog rock or packaged pop like Olivia and John. It promised to return to the true spirit of rock n’roll. Natural wines are a reaction to over-manipulated wines made to impress rather than to drink. They hark back to some sort of prelapsarian past where wine was pure. Long guitar solos = lots of new oak. The more I thought about it the more it made sense. Robert Parker is Fleetwood Mac. Marcel Lapierre has the role of the Ramones. The Ramones gave the impetus to youth in Britain to form stripped down rock and roll bands. Lapierre inspired wine makers to make simpler, fresher wines. The rest of the Gang of Four in Beaujolais can be represented by American proto-punk rock bands: the New York Dolls, the Stooges and MC5 who proved so influential. Can it be a coincidence that there was later a New Wave band from Leeds called Gang of Four? There’s now even a fanzine for wine, Noble Rot, though they should have called it Sniffin’ Wine. The old prog-rock loving music press finds its twin with the dinosaurs at Decanter. I wonder who the hip young gunslingers, the Julie Burchill and Tony Parsons of wine are? Surely Isabelle Legeron and Jamie Goode. It explains why some people approach natural wines with such venom. It’s just how the old timers at the NME and Melody Maker saw punk. They saw the bands with their two chords and non-flared trousers and thought this is everything we hate about music. Just so with natural wines: the classicists are put off by the volatile acidity, the tannic whites and the tolerance of Brett. But as with punk it’s the attitude as much as the end product that annoys the old-timers. Back to Bob on Top of the Pops. He may have seemed rebellious at the time but now he just appears ridiculous. Who listens to the Boomtown Rats today? Posterity has been much kinder to the Grease soundtrack. Very little punk music now stands up now. 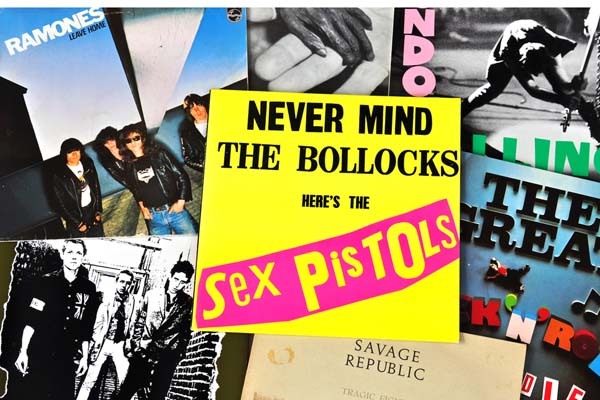 Andrew Nixon from culture website the Dabbler nails this point rather well: “Is it me or is that conventional narrative about the importance of punk, so often told by middle-aged music journalists and critics, starting to look a bit frayed? . . . . . If punk really did ‘change everything’ it was only temporarily.” Nixon goes on to say that disco and indeed Fleetwood Mac have proved far more influential. Punk was popular amongst a very small clique of influential people (many of whom would go on to have highly-paid media jobs.) I hope I’m not labouring my comparison too much by pointing out that it’s a similar story with natural wines. Simon Woods, one of the few influential wine writers not based in or around London, in his recent newsletter recounts a meeting with a sommelier who was incredulous “that there were several people in other parts of the country who were very regular, enthusiastic and well-heeled wine drinkers but had never heard of natural wine.” This is exactly my experience from attending my father’s wine club based just thirty miles outside London. Many of the members are extremely knowledgeable wine enthusiasts and yet in all my visits I’ve never heard the N word. I don’t think I’ve even heard anyone say biodynamics. Most of the members are just interested in good wine. The others just go to get drunk and gossip. Many of the prime movers in the natural wine movement such as Doug Wregg from Les Caves de Pyrène deny that there is a movement at all. They just say it is a reaction against over-manipulated wines. It’s the approach that matters. And in punk the attitude is as important as the music. In my opinion, punk’s influence is best heard in bands that took the spirit but not the music such as Dexy’s Midnight Runners and the Pogues. But natural wine is surely also, like punk, clever marketing no matter how much the organisers of the various natural wine fairs try to deny it. They’ve managed to create a lot of interest in wines that might otherwise have struggled to be noticed. Time will tell which producers turn out to be the Boomtown Rats and which the Pogues.